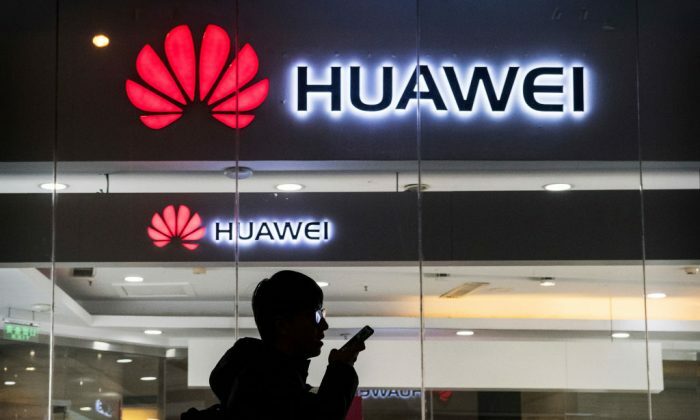 Chinese telecom giant Huawei has asked some of its Taiwanese suppliers to move their production to China, according to Japanese media Nikkei, as the company braces for a possible U.S. import ban that would prevent U.S. companies from supplying it with tech parts. On Jan. 28, the U.S. Department of Justice unsealed two court indictments against Huawei and its chief financial officer, Meng Wanzhou, as well as several of the company’s subsidiaries, for violating U.S. sanctions against Iran, and stealing trade secrets from U.S. mobile carrier T-Mobile. According to Nikkei’s analysis, since Huawei is named as a defendant, rather than just individual employees or executives, U.S. President Donald Trump may decide to impose a “full-scale ban” on the sale of American semiconductors and other components to the Chinese tech giant. Huawei’s domestic competitor ZTE faced such a ban after it was found to have violated court agreements related to its skirting of Iran and North Korea sanctions. Before agreeing to pay a settlement fee of $1 billion in a deal with the U.S. administration to lift the ban, the company nearly out of business due to its reliance on U.S.-made components. ASE and King Yuan are both are chip packaging and testing providers for the Chinese tech giant, while TSMC is the world’s largest contract chipmaker. Huawei has reason to be nervous. An import ban is now in place against Chinese semiconductor Fujian Jinhua Integrated Circuit, on allegations that the company stole intellectual property from U.S. chipmaker Micron. The U.S. ban, which was announced in late October last year, effectively iced the company’s ambitions to begin mass production of DRAM chips, a type of semiconductor used to power virtually all computers and electronic devices. “The Trump administration could take this action [the ban] regardless of the criminal charges in the indictment or the prosecution process,” said Ross Darrell Feingold, a lawyer who advises clients on trade and political risks between the U.S. and China, in an interview with Nikkei. Taiwanese broadcaster ETtoday sought comments from unnamed industrial experts in a Jan. 30 report, who said that if Huawei were to be hit with a ban, it could have a “nuclear-sized impact” on the company. In addition to TSMC, ASE, and King Yuan, there are seven other Huawei suppliers in Taiwan, according to the ETtoday report, including Foxconn, the world’s largest contract electronics maker; MediaTek, a chipset manufacturer; Macronix, a maker of memory storage technology; and Nanya Technology, a DRAM chipmaker. Other industrial experts told Taiwanese daily newspaper United Daily News in a Jan. 30 article that it was unlikely that TSMC would move its production to China, since TSMC’s semiconductor fabrication factory in Nanjing in eastern China can only handle 16-nanometer chip production. The more advanced production technologies, 12 nanometer and 7 nanometer, are currently carried out in Taiwan only. Additionally, the unnamed experts pointed out that Taiwan has a complete semiconductor supply chain to support TSMC’s production. TSMC would need to address additional difficulties in its supply chain if it were to move some production to China. Meanwhile, the United Daily News pointed out that both ASE and King Yuan have existing facilities in China, which could make them more open to the idea of moving production to the mainland. Meanwhile, Liu Pei-Chen, a researcher with Taiwan’s economic think tank Taiwan Institute of Economic Research, expressed doubts that integrated circuit packaging companies like ASE and King Yuan would really make a dramatic move to relocate their most important production capability to China. In an interview with the Taiwan branch of New York-based broadcaster NTD Television, Liu explained that with the ongoing Sino-U.S. trade war and U.S. tariffs on Chinese-manufactured electronics, Taiwanese companies are likely to adopt a policy that can help them mitigate economic risks—meaning that firms would want production to be carried out in multiple locations to avoid risks. A number of Taiwanese tech manufacturers have made plans to move production out of China in order to avoid the U.S. tariffs. Huawei could also face other troubles. On Jan. 29, TSMC reported that a substandard chemical was used in manufacturing chips at its Fab 14B located in southern Taiwan’s city of Tainan, damaging many of its chips, according to Taiwanese media. The affected chips are 12 nanometer and 16-nanometer products. While it is unclear how many of TSMC’s customers’ orders may have been affected, Huawei could be one of them, given that it is among TSMC’s biggest clients, alongside Advanced Micro Devices (AMD), Broadcom, Intel, Nvidia, Qualcomm, and Apple. For example, Huawei subsidiary and chipmaker HiSilicon, relies on TSMC to manufacture many of its Kirin line of chips. The Kirin 710 smartphone chip is known to be manufactured on TSMC’s 12-nanometer process technology, according to Taiwanese media.